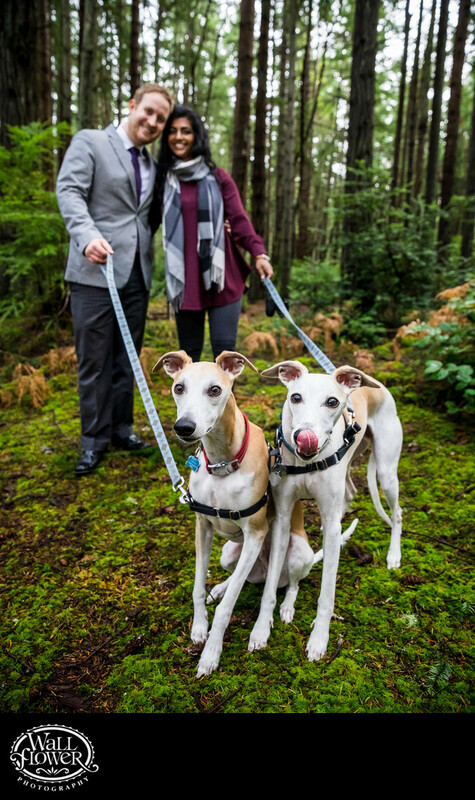 I love when I get to include dogs in my engagement portrait shoots, though it's usually best if we keep them in the car for most of it, and choose one spot to involve them. We felt this forest setting, our last stop in my Point Defiance Park photo shoot, would be ideal. These two whippets were hyper and a bit skittish, but when I got down to their level, they came right up for a series of quirky portraits. The nose lick put this one to the top of the list for me.